Nigerian oil union suspends nationwide strike, could resume late January – Royal Times of Nigeria. A major Nigerian oil union suspended a nationwide strike on Monday, the same day it began, after a dispute resolution ended with a domestic oil and gas company recalling laid off staff, the union’s president said. Speaking at a press conference after talks between the union, labour and oil ministries and the company, Francis Johnson, the president of the Petroleum and Natural Gas Senior Staff Association of Nigeria (PENGASSAN) said,“Management agreed to unconditionally recall the sacked staff and take steps to allow their employees to be members of the union,”. He said strikes could resume if the anti-union postures of other domestic companies were not addressed by the third week of January, leading to a full blown industrial crisis. PENGASSAN, whose members are mostly managers in the upstream oil industry, began industrial action on Monday over layoffs made by a Nigerian oil and gas company. The agreements will be reviewed after three months to assess whether the company had held up its side of the deal, the president said. The strike has threatened to hit the country’s crude production and dent exports, as was the case in December 2016 during industrial action against Exxon Mobil. But there was no immediate sign that output was affected on Monday. Nigeria is Africa’s largest crude exporter and oil sales make up two-thirds of government revenue. Output has fluctuated in the past two years due to militant attacks, pipeline theft and industrial action. PENGASSAN had not said how many workers had been involved in Monday’s industrial action, which was called after domestic oil and gas companies and marginal field operators laid off members of the union. Marginal fields refer to discoveries made by oil majors during exploration of larger acreage but which have been left for others to develop. Other oil industry unions were working as normal. Lengthy fuel queues were seen in several parts of the country including in the commercial capital Lagos, in the southwest, the northeastern city of Maiduguri and the city of Jos, situated in the middle of the country. 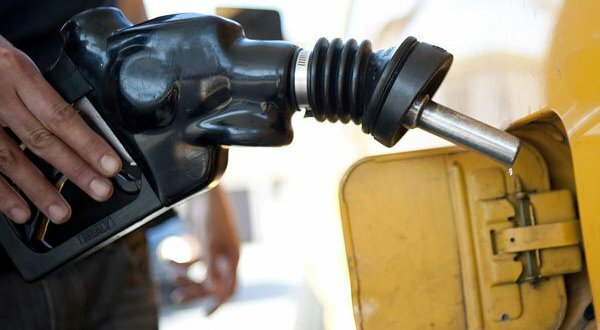 The Nigerian National Petroleum Corporation (NNPC) issued a statement telling motorists there was no need to stock up. The state oil company in an emailed statement said, “NNPC wishes to state that relevant government agencies are in consultation with industry unions to arrive at an amicable resolution of issues over which there are threats of industrial action,”.